The Marvel Chess Collection is a bi-weekly series featuring some of the greatest Marvel characters. 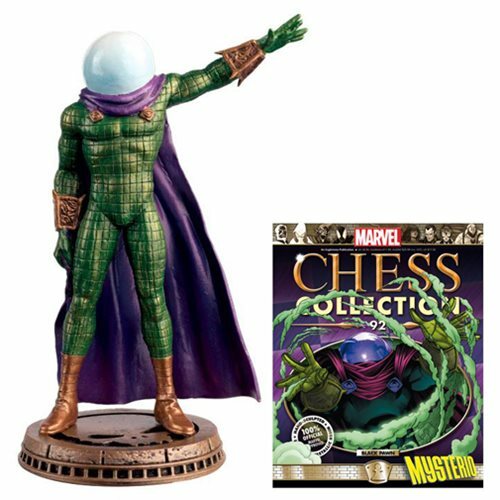 The Marvel Amazing Spider-Man Mysterio Black Pawn Chess Piece includes an illustrated Collector Magazine #92, detailing the Amazing Spider-Man character. Ages 13 and up.